Could you please thank Marek and the entire crew for a brilliant job executed with the best attitude we’ve ever seen in a removals company. Although it was a complicated move, the men worked non-stop, nothing was too much trouble, they did everything they could to ease what is for anyone a stressful event and always with a smile. You have a brilliant team, congratulations and please pass on my huge thanks to all involved. Thanks very much. Your guys were amazing yesterday and made everything very easy for us on the hottest day of the year! Thanks again and I’d be really happy to recommend you to anyone. Marek, Karolina and the team at W&W Movers are an independent local firm serving based in Ealing. I have now used them on 3 separate occasions due to moving items in and out of storage and moving into temporary accommodation whilst some works were carried out. On all 3 occasions, I couldn’t have asked for more in terms of communication with Karolina and Marek and the efficient and quick work of the removal guys who were courteous and helpful throughout. I have one more move to complete and I am so happy I found W&W as it makes the experience at the least possible stress level for moving! I live in Ealing and so pleased we have this fantastic firm serving our local community and beyond. I would definitely recommend them to anyone and would be happy to verify this should there be any queries. I chose W&W movers as I enquired into 2 companies for my removal. They responded quickly and efficiently the other company did a standard reply, W&W movers were personable. I was kept fully up to date before the move and also afterwards to see how it went. The removal men were so quick at what they did, the were polite, professional and knew exactly what they were doing. The quote I was given was 100% accurate. They dismantled my bed and put it back together again also without any quibble. Amazing company! Highly recommend! Service as I told Marek was first class. Couldn’t have asked for a more helpful crew! Happy for you to quote us on that! Karolina, my guardian angel, your husband and his team were exceptional. I cannot recommend your team highly enough. Both my husband and I were blown away with the service we received.We rate you 100%. I booked W&W on short notice, Karolina was/is very nice to talk to and will do her very best to make your move as painless as possible. The move went like clockwork, the guys were amazing, polite, very professional and worked so hard 5***** service. I would recommend W&W to anyone. We were very pleased to get the call from Marek in the morning saying they could do it then, they all worked so hard & the move went amazing thanks very much. We are just settling into the new place, at first it seemed smaller then the old place but it’s not, it has so much storage, it’s quieter & it has outside space where the kids can play & off road parking, so we are 100% happy. Again thank you for fitting us in on such short notice, again an amazing job done by you guys. Extremely helpful and friendly team. Karolina went out of her way to make sure that she had movers available for us, we had a site visit from Marek in advance of the big day and then the team on our moving day were fantastic. The movers arrived early (as requested), were very efficient and extremely positive and energetic. They took lots of potential stress out of moving house. We couldn’t believe that our entire home was moved and unloaded by 2.30pm, brilliant service. Thank you! I found W and W to be excellent. Marek carried out two site surveys and provided all the boxes and packing boxes, we need an extra 10 on the day this was no problem. Unfortunately, the night before the lift broke down but the team cheerfully carried on carrying everything out by hand without complaining. They also collected a van load of goods from Ikea the same when Ikea let my client down. Excellent workers. W&W Movers are extremely professional, friendly and very efficient. Marek and his team made everything go smoothly on what could have been a very stressful day, they are 100% reliable. Karolina is always professional and accommodating to our timings and days. Very pleasant experience to work with this company. From initial appointment for quote estimation to actual move, all went very smoothly. Marek and his team were punctual, polite, friendly, efficient and very careful with goods/furnitures. Prices are also reasonable. I have been using W&W movers for the past 6 years and every time they have provided top service. I would highly recommend this company. Marek was amazing, he helped so much, and all of our things arrived without a scratch! I hope that he got back ok, and has slept off the crazy move. We had so many stairs! I was so pleased with the removal process provided by W and W. The guys were careful, efficient and polite. They packaged up paintings carefully to protect them in transit which was much appreciated as I hadn’t managed to do so myself. They were also brilliant at stacking everything into the storage unit to maximise the space as much as possible. I will definitely be using W and W again and would recommend them to anyone who wants an easy, efficient move! The pricing is very reasonable too! We are so glad we went with W&W Movers! Well priced and very nice, we even moved more than originally planned and they kept the same price. We used them for packing as well as moving, they were quick and efficient and not a thing was damaged. Very happy!  The team of movers from W&W that helped us move were fantastic – very friendly, helpful. We were moving with a 3 month old and 3 year old and the movers ensured the move was hassle free and helped us and advised us at every step along the way. I would highly recommend W&W Movers. I can not recommend W&W Movers enough. From my first contact, the level of customer service was excellent. The process of moving was made so much easier by the team who were punctual, efficient and friendly throughout. Nothing was too much trouble. Five star service. Thank you and your team for your assistance. The guys were just wonderful on Saturday, so helpful and polite, a pleasure to work with. I will be in touch in the new year with regard to organising to get our stuff back into our house and will not hesitate to recommend you and W & W Movers. The move went well. We were impressed with how professional your team was. Please pass on my thanks to them as well. The move went very well and we are pleased with the 2 guys that did the move for us. I have nothing negative to say at all. Would use W&W again if I need and I would recommend your services to anyone who is moving. The move went very well. The two men were very helpful and went over and above the call of duty to try and get my settee into the property. I will be recommending your company and will put a review on Checkatrade as soon as my home broadband is up and running. Once again, thank you very much for a stress-free experience. The move was magic – I was feeble compared to Yarek who worked extremely hard and very quickly to make everything secure – all finished both ends in record time, so many thanks for organising him for me! Thank you for your message. The move went well thank you. I’m glad that there were three men instead of two, as they managed to complete the move in just two hours. I tipped them all as well to show my appreciation for their hard work, especially as it was raining heavily when we arrived at the destination. The move went very well and the guys did a great job – very happy with this service- thank you. Just to say thank you very much for all your help with our move as I know the dates kept changing all the time! We love the new house and location and the removal men were excellent -very professional and very speedy! Happy to help if you ever need any recommendations in the future. The movers, Peter and his colleague were excellent. They are very polite, friendly, professional and most importantly thoughtful. House movers – Highly recommended and competitive pricing. Marek and his team went above and beyond expectations for our house move. They did a perfect job for us – were polite, hard-working and gave us a great quote too. (Far more competitive than the other companies I spoke to). They packed up, disassembled furniture, moved us and re-assembled stuff etc for us. When we asked for cardboard boxes to be sent over so we could pack up, Marek had them delivered within the day. Extremely efficient. Will be recommending to everyone. I was really happy with your help. You were fast, efficient and polite at all times. It was such a pleasure dealing with you from making the booking to getting the last box in its place. We are just about settled in, still a few boxes to go. The move went brilliantly, both teams were punctual, polite and hard working. There were no breakages at all and all our stuff was moved in a professional manner. I will not hesitate to use you again in future or recommend you to friends.